Planning a kitchen remodel? Get inspired with these top design trends. 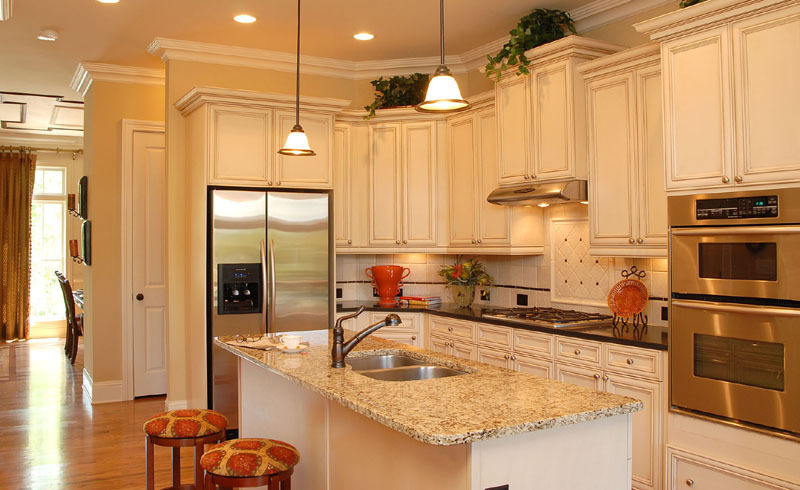 Are you thinking about new and exciting options for remodeling your kitchen? One of the best parts of planning your project can also be the most overwhelming: sorting through the remodeling trends to find what works best for your home. With new possibilities from floor to ceiling, you can update one area or transform your entire space for better storage, function, and visual appeal. 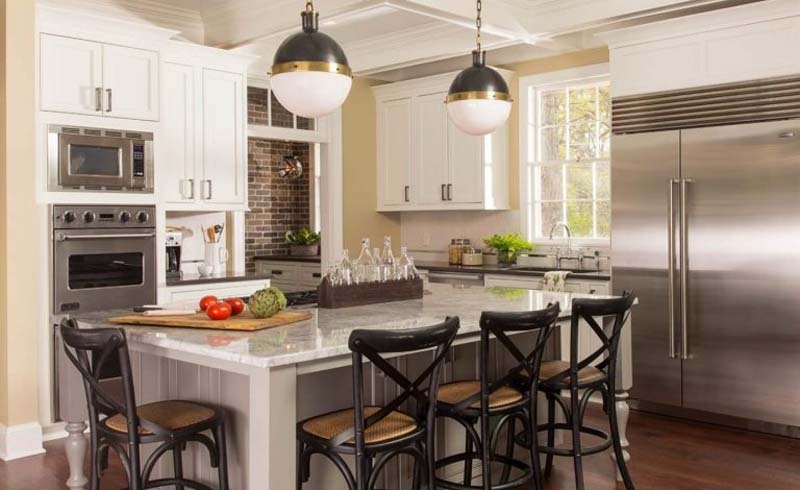 Take a look at these top kitchen remodeling trends for your Atlanta home that may inspire your current design style and taste or take you in a completely different direction. 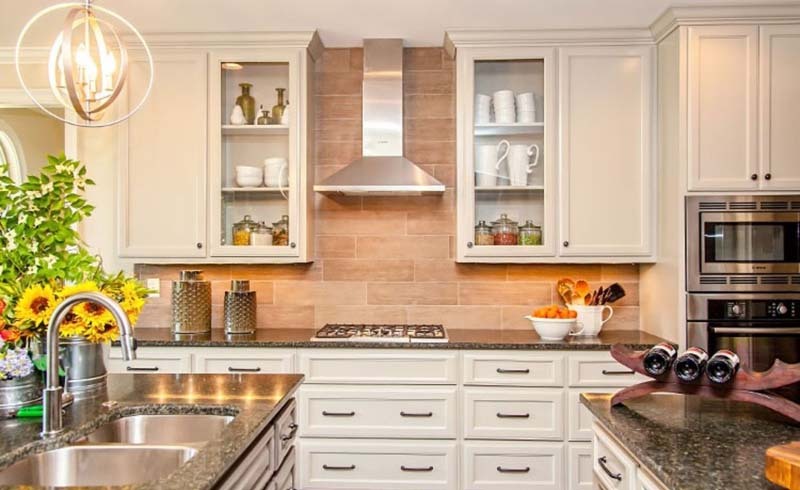 Say goodbye to granite and hello to quartz as the new material of choice for countertops. While granite gave an elegant and natural feel to kitchens over the past decade, quartz brings a simpler look to complement a softer approach to kitchen remodeling. An added bonus is better resistance to stains because the surface is less porous than granite, making is as practical as it is stylish. A recent trend in Atlanta kitchens is reflecting popular food trends with a mix of different styles and tastes. 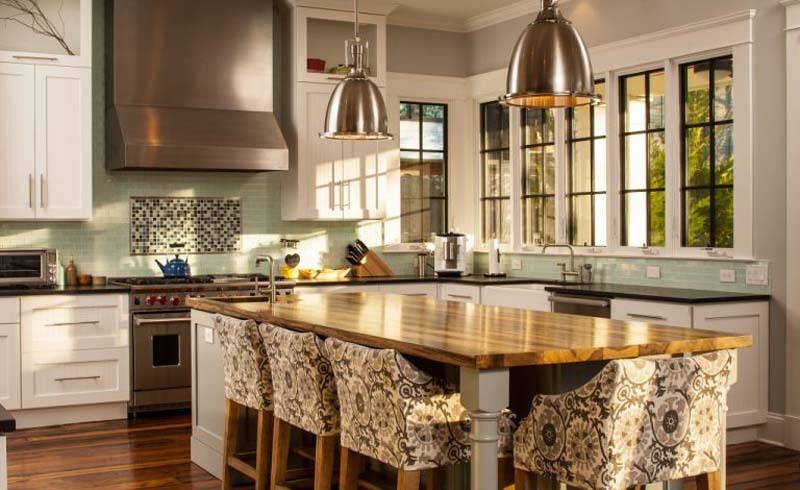 Take a page from some of the top restaurants when designing your kitchen by blending modern touches with traditional styles for an eclectic look that is one of a kind. Read Related: So You Think You’re Ready For A Kitchen Remodel? Appliances are moving away from the sleek stainless steel look to other options in metallic finishes. Darker charcoal gray and gold stainless tones are creative remodeling trends that can put your kitchen on the cutting edge. Copper is also gaining attention in a big way and can be used for anything from kitchen hoods to new faucets. Speaking of appliances, microwave ovens have some new competition. Steam convection ovens are touted as the best thing to happen to kitchen remodeling in years. They are available in both wall-mounted and countertop models, and they are gaining popularity because of their versatility and healthier method of cooking. Atlanta remodeling trends are taking a cool twist by expanding livable space out of the box and out of the home. Outdoor kitchens are more popular than ever as homeowners want to enjoy their yards as long as the seasons allow. These cooking areas are not your typical patio. You can amplify the backyard cookout concept to a new level with cooktops, prep sinks, storage, and compact refrigeration units for a completely functional kitchen that can keep your home’s interior cooler in the hottest times of the year. Add a working fireplace, and you have the perfect place to entertain friends or enjoy quiet family time. Kitchen islands continue to be a must on a lot of homeowners’ wish lists because they offer so much versatility. The latest remodeling trends call for more function and usefulness with better storage and room for counter seating. Think built-in bookcases, deep drawers, and cabinet space as well as a bit of overhang to allow for quick and casual dining. The stark contrast of black and white is making way for softer tones in kitchen remodeling color schemes. More designs feature relaxing neutral hues to add an element of peace to what most times is the most frenzied room of the house. The color palettes that dominate 2016 Atlanta remodeling trends are taking a calm and almost gentle approach to design. If you think the latest kitchen remodeling trends are too docile, think again. 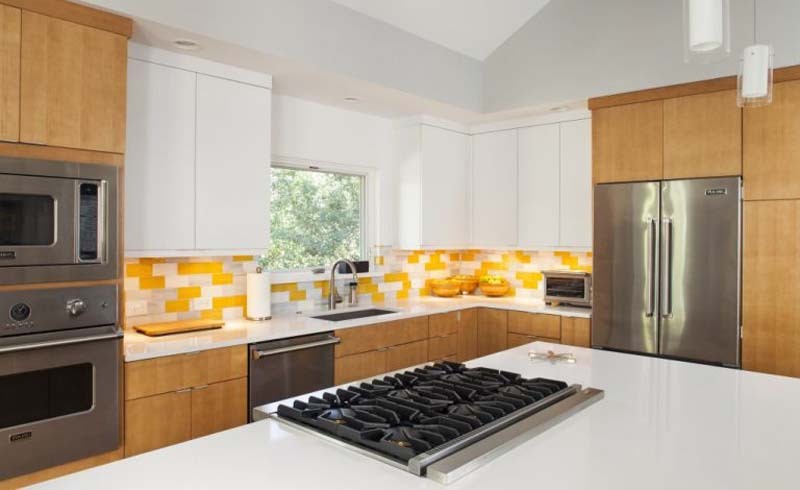 The pop of color and daring design is delivered via the backsplash. You can even create your own tile design for a customized look that speaks directly to your vision and personality. Backsplashes can let your creativity flow because you can take a chance on a pattern or color that may dominate your kitchen if used in other components. 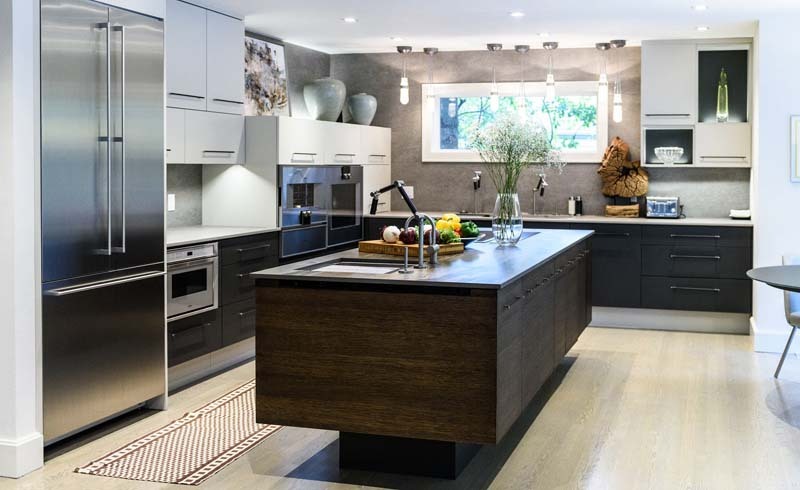 By incorporating any of these remodeling trends in your design, you can have a kitchen that combines aesthetics with purpose. You have more freedom than ever with your kitchen remodeling options, and you may want to work with a professional designer to define your needs and ideas into a workspace that radiates your style.